Sandy is a massage therapist and acupuncturist..
She completed the Asian Body Therapy program with 800 hours at the Pacific College of Oriental Medicine in 2004. She continued her studies at the Pacific College of Oriental Medicine and graduated in April 2009 with a Masters of Science in Traditional Chinese Medicine. 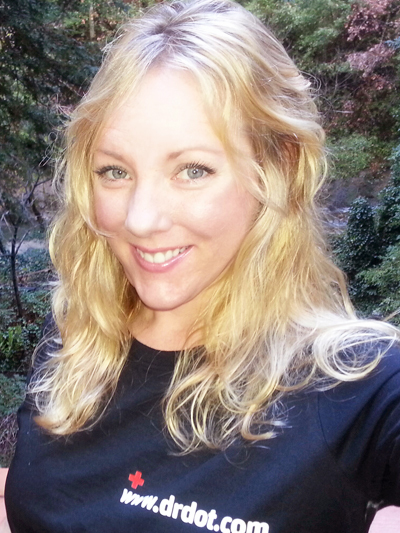 In her practice she uses her intuition to customize the perfect massage for you. She incorporates many different types of massage into one session depending on the client's needs and requests. All of her work will have some focus on working with the Chinese meridians and acupuncture points for maximum therapeutic benefits. With the extra focus on meridians and points, blockages in the body will be dispersed on a deep level. The modalities of massage she uses are deep tissue, circulatory, swedish, shiatsu, and tui na. A few of the other modalities used in her practice are Gua Sha and cupping. These are ancient Chinese techniques that have been used for centuries to alleviate muscle tension/pain and to detoxify the body. Her goal is to assist her clients on their journey to healing by helping them to attain a deep state of relaxation, which will bring them closer to their most authentic self.